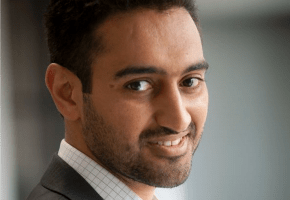 ABC is not returning talkfest series Big Ideas, presented by Waleed Aly, next year. Big Ideas aired twice a week at 11am on ABC plus on ABC News 24 and has hosted an online archive of clips and podcasts. We are very sorry to announce that ABC TV’s Big Ideas will not be returning in 2015. ABC has decided not to recommission the show. On their Facebook page the show said, “We are proud to have been the go-to place for Australian students, academics, scientists, designers, business leaders, educators and the larger public who are working on and curious about ideas, current debates and the issues of our time. The final episode for 2014 will air November 30th at 2pm on ABC AEDT. This government is determined to remove all independent thinking and ideas, this is why we need the ABC and these shows. I certainly will miss a small spot of intelligent conversation….and I watch ABC24 ..a lot!….in fact it is on now…watching Al Jazeera….news you dont see on other networks…. And yes…I would go back to The Project if Waleed got the chair. @fairdinkum – yep ABC News 24 should be next. @drew1505 – I hope Waleed Aly never joins The Project as he is terrible and no sense of humour and no wonder why the ratings are down on a Friday night for the show. ABC24 is far more superior than Sky News. I switched to ABC24 because I was getting sick and tired of all the panel chit chat shows on Sky. So sad. I didn’t mind watching this show from time to time. Is Waleed joining The Project in 2015? @Fairdinkum, it will be missed. Big Ideas introduced me to a few amazing authors and made people think about the topic being discussed. In high school I used it as a resource like TED, and even in Uni it’s been helpful in a few of my units. If we don’t have shows that make people think or that introduce topics of relevance (Today Tonight and ACA don’t by the way) then that doesn’t help society to change. ABC24 is a good concept, but the ABC need to be a lot less biased- like they used to be. Will not be missed. ABC News24 should be next.